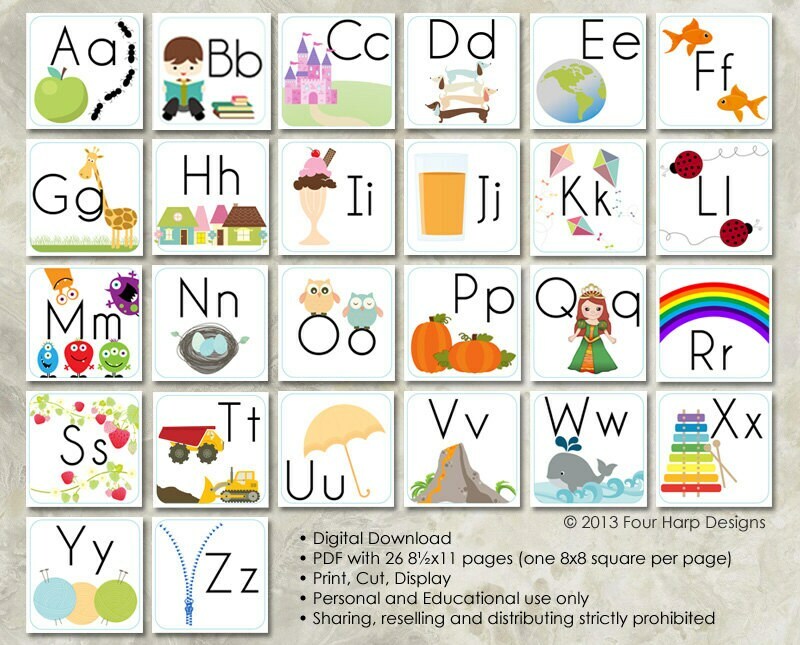 A set of 26 alphabet cards for wall display. Available as instant download! File will be available to download once payment is confirmed. • final product is 8x8" after cutting - large display for little ones. to see easily. • FAQ: Can this be made smaller? YES! When you print the file, your print dialogue box should have a button to click to scale down by percentage. Check this with any PDF you have on hand to make sure it works BEFORE you purchase my set. Refunds are not available. Thanks! • This product is intended for personal use only. File sharing, reselling and distributing in any manner is strictly prohibited. • Shop Design1929 on Etsy -- all proceeds go towards our family's Disneyland fund!